Note: This does not guarantee that an event will be scheduled. We appreciate your feedback! Please select the type of event you are recommending. If you are proposing a location for an upcoming event, please let us know where. 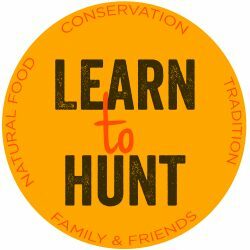 Please tell us the topic (in detail) you would like to see covered at a future Learn to Hunt event. Please provide your email address or phone number so we can contact you to discuss your recommendation.